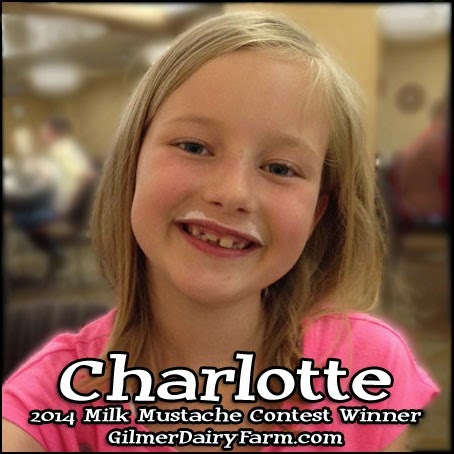 Congratulations to Charlotte, our 2014 Milk Mustache Contest Winner! A strong last-day surge helped her clinch this year's title with 123 total votes. Charlotte will win a dairy-themed prize package and will be featured on the front page of our farm's website. I know you may be thinking this is not a big ole milk mustache, but believe me, this girl can make one of those! This photo makes me choke back tears because it was taken at one of Charlotte's recent trips to the U of MN Children's Hospital... That day we had lunch at the hospital cafeteria and had to rush off to one of her appointments. After she chugged her milk, not wanting to waste a drop, she reminded me, "Don't you know how hard dairy farmers work, Mom!? 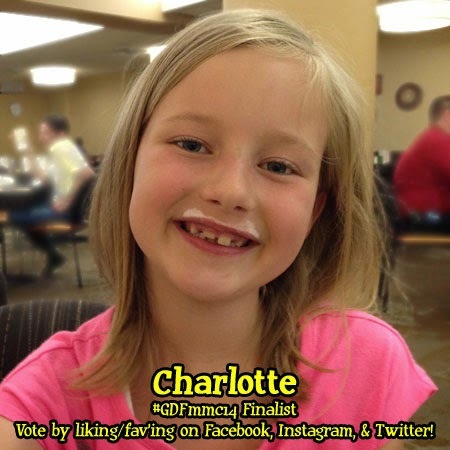 "...Charlotte is always excited to go into classrooms and read books to other kids about dairy farming and do butter and ice cream making demonstrations. This photo is her salute to hard working dairy farm families. 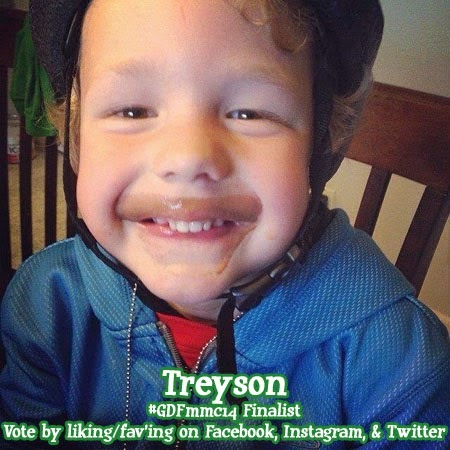 We want to thank our other two finalists, Treyson and Rylee, for sharing their great milk mustaches with us, as well as all the other kids and parents that submitted a photo this year. And of course, we appreciate all of you who helped us celebrate June Dairy Month by "liking", sharing, and commenting on these photos. Next year will mark our contest's 10th anniversary, and we hope that it will be our biggest one yet. 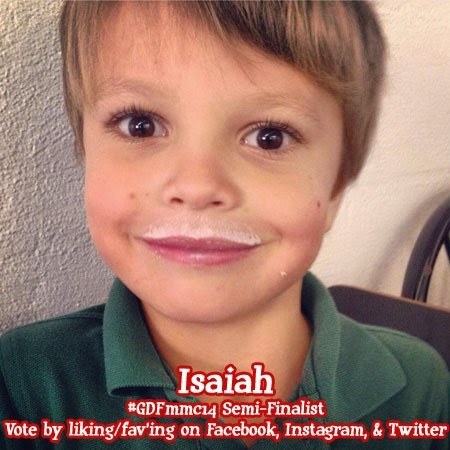 Only three remain in our 2014 Milk Mustache Contest, and now it is time for you to select this year's champion. 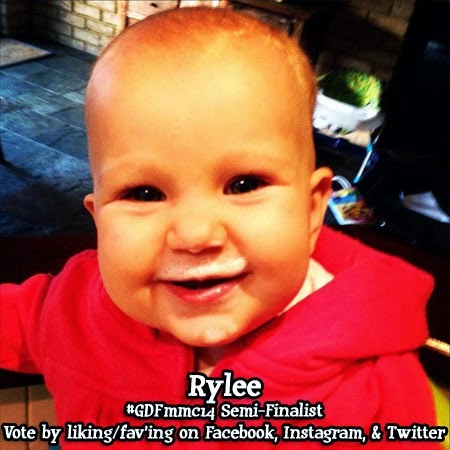 As in our opening round match-ups and semifinals, you can vote for your favorite milk mustache photo by clicking like/favorite on Facebook, Instagram, and Twitter (links are provided below). Voting will remain open through Friday, June 27, with the winner being declared on Saturday, 6/28. Not only will the winner receive a prize package, but we will also randomly select and send a Gilmer Dairy Farm shirt to one of our Facebook page fans that shared the winning photo during the voting period. The field for our farm's annual Milk Mustache Contest is now down to five photos. A big thanks to all who voted on Facebook, Instagram, and Twitter in our five opening round match-ups last week! Charlotte received the most votes and has locked down a place in our Final Round that will run June 25-27. Who will join her? That's for you to decide! Our 2nd-5th place vote-getters are listed below and will square off in the semi-finals on Monday (6/23) and Tuesday (6/24). Links to photos on Facebook, Twitter, and Instagram will be listed for each semifinalist on the day of their match-up at 8am, and voting will remain open until 3am the following day. The entry period for our annual Milk Mustache Contest is now closed, meaning it's time for you to pick our winner! Ten milk mustache photos have been selected for the "playoffs". We will feature two photos each day this week, and the photo receiving the most cumulative votes via Facebook, Twitter, and Instagram will advance to next week's championship bracket. We will seed our five finalists based on their vote totals, and continue in the same manner (votes will be reset each round). Next Monday will be #2 vs #5, with #3 vs #4 on Tuesday. The two advancing finalists will join the #1 seed for a three-way championship final. Voting for these three photos will begin on Wednesday and remain open through Friday. 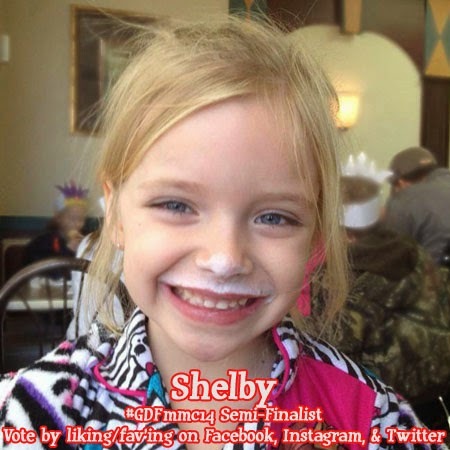 The photo receiving the most votes over that time period will be declared the Gilmer Dairy Farm 2014 Milk Mustache Contest winner on Saturday, June 28. 6/16: Charlotte (96), Cora (53).